After a "snow" day on Friday (where there was little to no precipitation), and birthday celebrations on Saturday, I am enjoying a quiet Sunday afternoon. With the day off on Friday, I was busy working on some new units. 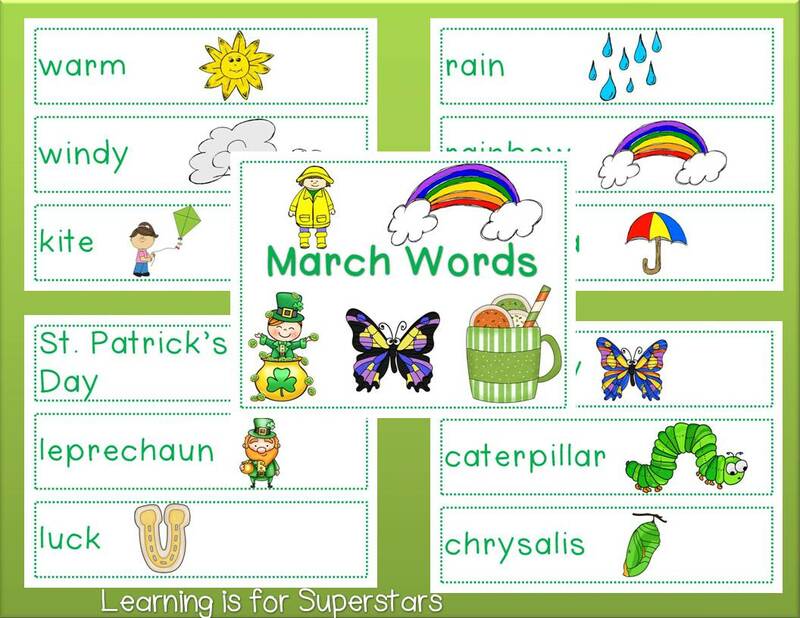 Here's my March Words packet. It includes a header card (pictured in the center), along with 29 March themed words. 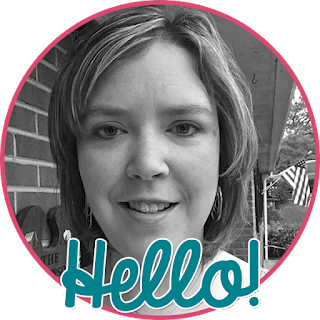 Click here to get your set! Below are some of the preview pictures for my March Packet. 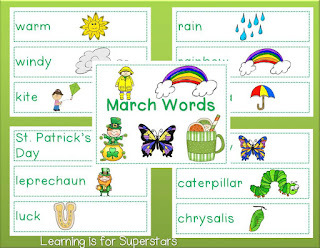 It includes the March Words packet (above) and many other literacy & math activities! My next project (which I thought I would not get to until Spring Break) was to work on some BINGO games for sound switching. Once I got started, I couldn't stop! Each game has 36 calling cards (answer is marked with an asterisk on the bottom of each card) and 10 BINGO cards. The BINGO card has a word and matching picture in each box. Each game can be purchased separately or together in a bundle! 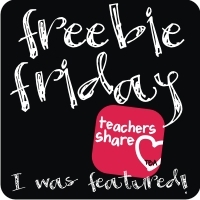 My last new product is a freebie! There are 3 alphabetical order sets in this packet, all with spring words. Each unit has 8 word/picture cards, recording page, and cut/sort/glue activity. You choose which activities to use and how to use them. The units are color-coded to make it easy to sort them into sets. Click here or on the picture below.